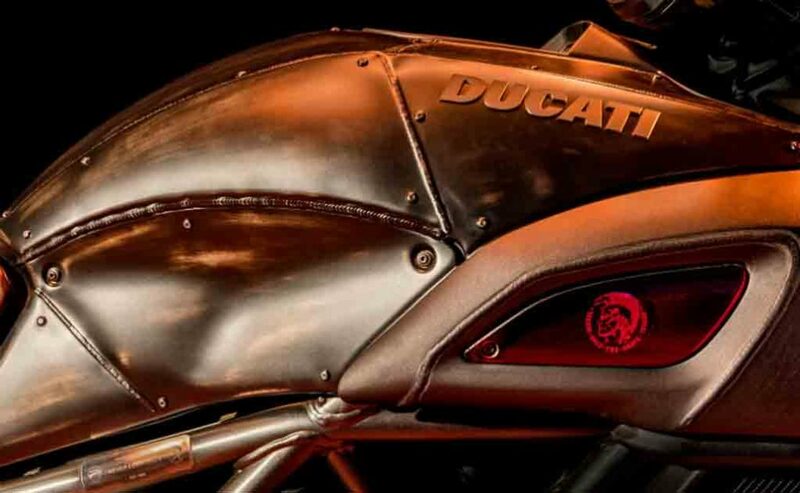 Italian bike manufacturer Ducati has collaborated with apparel brand Diesel to develop a leathery looking limited edition Diavel that will be sold in 666 units only. 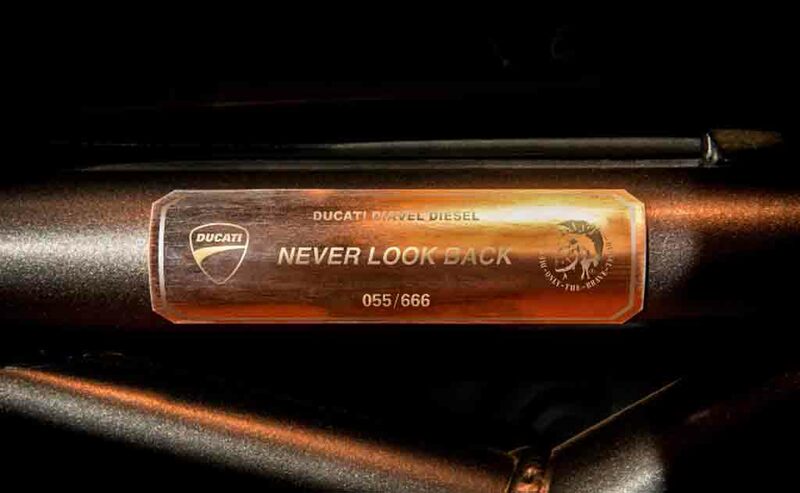 It is worth noting that these two companies joined hands together earlier and produced the Ducati Monster Diesel. The aggressive looking bike comes with an unique appearance and is priced at Rs. 19.92 lakh (ex-showroom., New Delhi). As the Italian bike maker says, this bike comes inspired by a hyper-kinetic dynamism of a post apocalyptic, retro futuristic world. 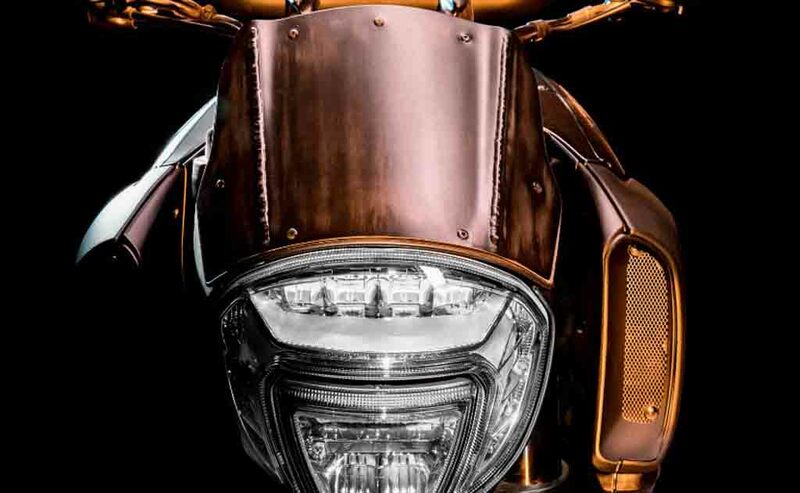 It looks like that the bike has been conceptualised by some post-apocalyptic movie. The company hopes this model will grab attention of the people who have an eye for fashion. Ducati Motor’s CEO Claudio Domenicali says, such product will widen the brand’s areas of interest. Ducati announced the arrival of the Diavel Diesel at the Milan Men’s Fashion Week 2017 a little while ago, after it revealed its first ever Scrambler Café racer that would start selling in April. Ducati has also showcased this model at the Motor Bike Expo in Verona, Italy from 20th January to 22nd January. 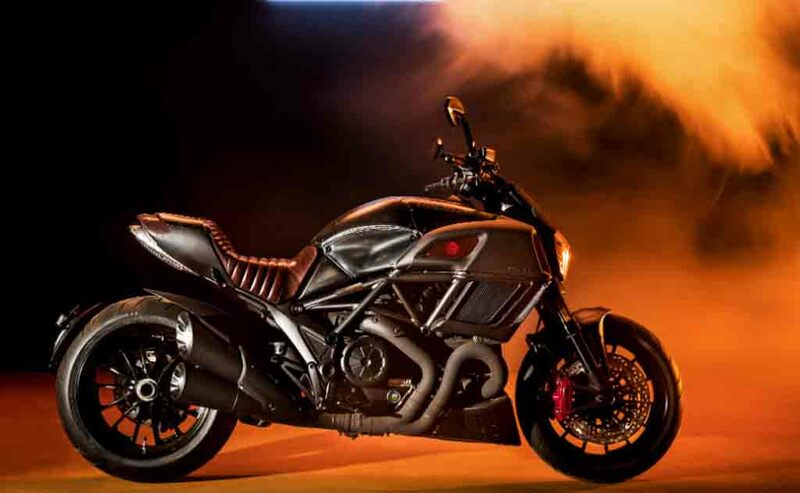 The basic silhouette of the bike is same like the standard Diavel, but the styling has been tweaked to give it a distinctive look and it truly enhance the appeal of the machine. 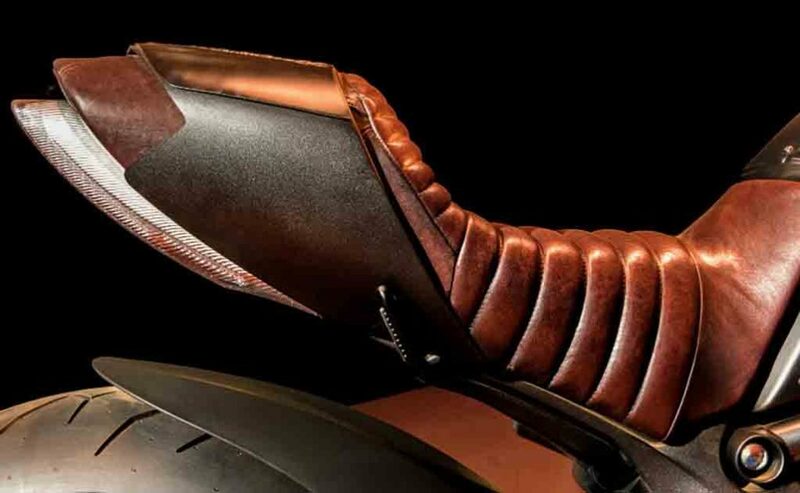 The fuel tank and rear cowl appear to be wrapped in leather which is actually created by the welded look dotted with rivets and this certainly increases its fashion characteristics. The leather seat also gets a retro appearance. This bike sports red trims on the LCD dials. Apart from that, the exhaust pipes are painted in black with Zircotec ceramic. The all-important L-Twin Testastretta DS engine churns out a massive 162 hp of peak power and 130 Nm of peak torque. For braking duty, Ducati has equipped the bike with Brembo calipers.